The Charlotte Observer reports the Cats will be hiring former NFL QB Ken Dorsey as the teams QB coach. The Panthers again are staying in-house to fill a coaching position. 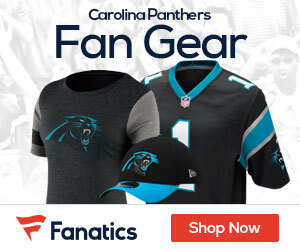 Panthers coach Ron Rivera is expected to hire Ken Dorsey, one of the team’s pro scouts, as his quarterbacks coach, a source with knowledge of the situation said Tuesday. Dorsey, 31, joined the scouting department two years ago after working with former Panthers quarterback Chris Weinke at IMG Academy, where they trained Cam Newton during the lockout before Newton’s rookie season. Dorsey is the winningest quarterback in University of Miami history, posting a 38-2 record and leading the Hurricanes to the 2001 national title. Dorsey, drafted in the seventh round by San Francisco in 2003, was 2-11 as a starter with the 49ers and Cleveland.